This 17th edition of Untangling the Web of Antiretroviral Price Reductions is a departure from recent previous years. 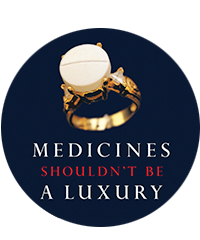 For this edition, the methods of collecting information on the sources and prices of antiretrovirals (ARVs) remain the same, but information is presented in a new, shorter format focusing on a few key drugs as well as future regimens, along with an analysis of the current opportunities, challenges and threats faced in keeping the price of ARVs down. Additional publications in the Untangling the Web report series are available here. Learn more about MSF’s work to improve access to lifesaving HIV treatment.